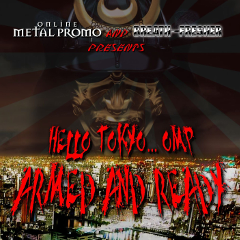 We have launched a free download release for the compilation CD entitled "Hello Tokyo... OMP - Armed And Ready", which is our first project with Online Metal Promo (USA). CD on zip file (270MB) contains 30 tracks by 30 Hard Rock/Metal bands from 6 countries and the cover artwork designed by Gramie from the Autopsy Report (UK). You can download the free CD using either of the following two download links. This service will be closed on February 28th 2014. Note: This is exclusive to BREATH-FRESHER webzine, and the limited edition release. Not to be sold or redistributed. All music on this CD are published with permission. 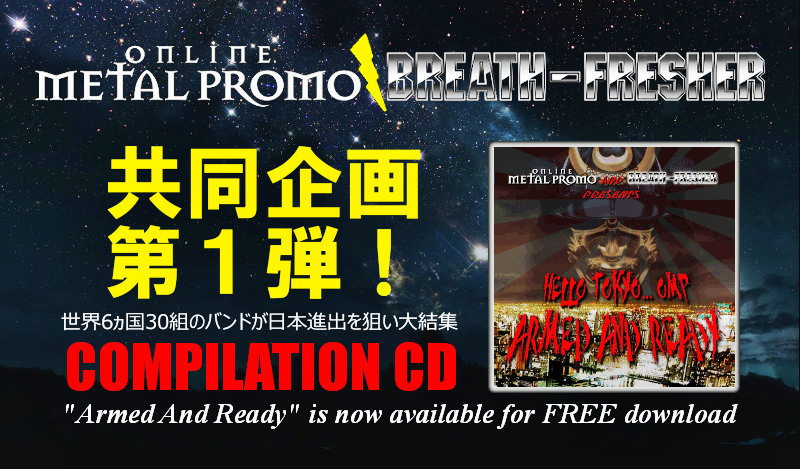 Following this release, Online Metal Promo will have a plan for another compilation digital release in other countries. Contact Online Metal Promo on facebook or lordofpr@hotmail.com for considering to join. HELLSCREAM (USA) - Made Immortal feat. CAGE guitarist Dave "Conan"